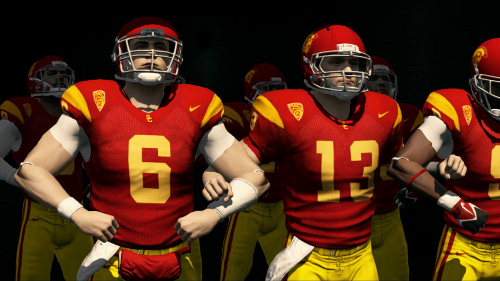 There hasn’t been much movement over the last six months towards the potential for a return of college video games. For that to happen a new system will have to be put into place that allows collegiate athletes to be paid for their likenesses while retaining eligibility. The Supreme Court’s decision on O’Bannon vs NCAA kept things in limbo, leaving the action brought by attorney Jeffrey Kessler as the next best hope for change. That case had a major development today as Judge Claudia Wilken – who was also involved in the O’Bannon proceedings – scheduled a trial to begin on December 3. In the earlier case Wilken ruled in favor of O’Bannon having determined the NCAA violated antitrust laws. In doing so she proposed a system that would have allowed athletes to collect money in a trust to be paid out after they had left the school. That part of the ruling, which may have presented an opening to the likes of EA Sports, was overturned by the Supreme Court. The plaintiffs in the Kessler case (fronted by former football players Martin Jenkins and Shawne Alston) are seeking to prevent the NCAA from being able to restrict athlete benefits to only scholarships, instead allowing them to make money off their names and likenesses. A clear win would not only likely bring EA Sports, conferences and universities back to the table for a college football game but it would have major ramifications on amateur athletics as a whole. Even in that scenario however we’re still looking at being years away from a final resolution considering appeals, plus the development of any game would tack a few more years onto that.